열목어는 연어과에 속하며 20℃ 이하의 차가운 물에서 사는 민물고기이다. 몸의 바탕색은 황갈색이며 머리·몸통·등에는 자갈색의 무늬가 불규칙하게 흩어져 있고 배쪽은 흰색에 가깝다. 알을 낳을 때는 온몸이 짙은 홍색으로 변하며, 등지느러미와 가슴지느러미 부분에는 무지개 빛의 광택을 내어 아름답다. 물 속에 사는 곤충이나 작은 물고기를 먹고 산다. 한반도는 열목어 분포의 최남한지로서 학술적으로 중요한 가치가 있어 그 서식지가 천연기념물로 지정되었다. 열목어 서식지는 찬 수온을 유지하기 위한 고지대의 숲이 잘 발달하여야 하는데, 그와 같은 조건을 가진 수역이 드물기 때문에 남한강과 북한강의 상류 수역에서 불연속적으로 분포한다. 정암사 열목어 서식지는 남한강 상류의 강원도 정선군 고한읍 소재 정암사 옆 계류지역으로, 「동국여지승람」에 의하면 오대산 월정사 근처에서 폭포를 타고 오르는 열목어 떼의 장관을 볼 수 있었다는 기록이 있다. 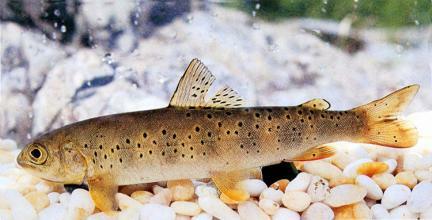 The Manchurian trout is a species of freshwater fish that lives in water at a temperature of less than 20℃. Its skin is covered with small irregular red spots against a silvery-white background. During spawning time, its whole body becomes red, and its dorsal and pectoral fins acquire a rainbow-like luster. It usually feeds on the larvae of insects in water and small fish. 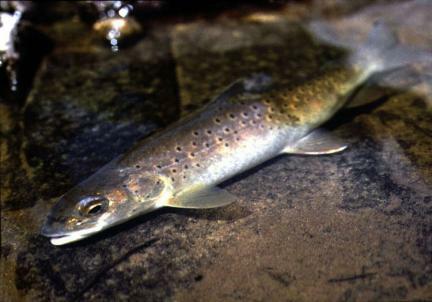 In Korea, Manchurian trout are found in the Amnokgang, Dumangang, Cheongcheongang, Daedonggang, and Hangang Rivers and in the upper reaches of the Nakdonggang River. In summer they stay in cooler areas, usually in the upper reaches of a river, while in winter they remain in midstream areas. 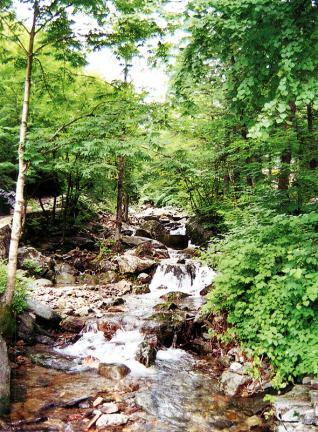 Since the habitat of Manchurian trout in Jeongamsa Temple is the southernmost part in the world where this fish can live in the well-developed forest as an optimal environment. 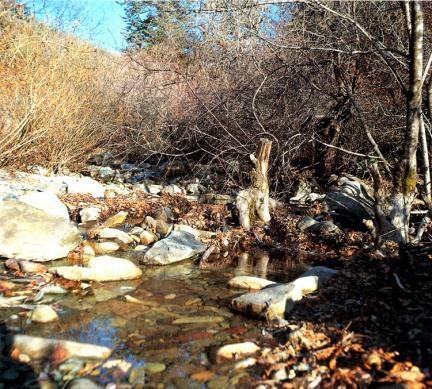 It is a protected species and has been designated as Natural Monument (No. 73).